Thanks to Pause, I have had my first introduction to one c-jeff, a chiptune artist from Russia. 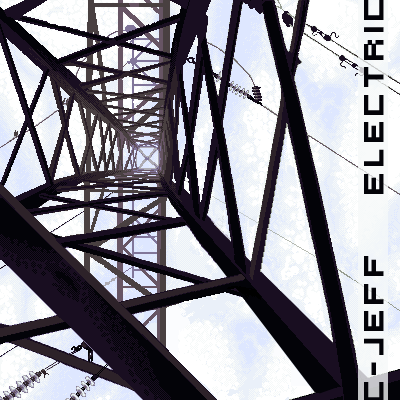 He has just released a three song EP that spans a globe trotting 30 minutes entitled Electric. In only three songs this album seems to span an endlessly changing sea of genres, styles, emotions, and ideas. From soaring jazz compositions to cavernous crunching riffs, all the tunes have so much emphasis as if pain staking thought went into each note written in every track. This might be because of the inspiration of this album, which may just put the music into a little more perspective. The plot of Electric is the life of one man - from his naïve childhood, through happiness and darkness to the final light of heaven. This album is dedicated to memory of my father, Oleg Zhemkov, the great rock-musician whom I lost in spring of 2008. I miss you. With that in mind, it's very easy to see this album as a sort of biography for a lost loved one. Each piece of work can conjure up a specific mood, and even specific feelings and memories. Brilliant chiptunes meld with incredible guitar work to create an aural treat over these three tracks, and will definitely leave no one disappointed. This album, along with the recently released Kind of Bloop continue to forge a path in chiptunes that shows that chiptunes are diverse, emotional, and versatile. Despite critics claiming otherwise. Be sure to download this album from Pause and listen to the incredible compositions for yourself!